This crash cart adapter has been specifically designed for maximum durability. It features a rugged, rubberized housing that can handle drops by absorbing shock, to make sure that you’re equipped for unexpected challenges. 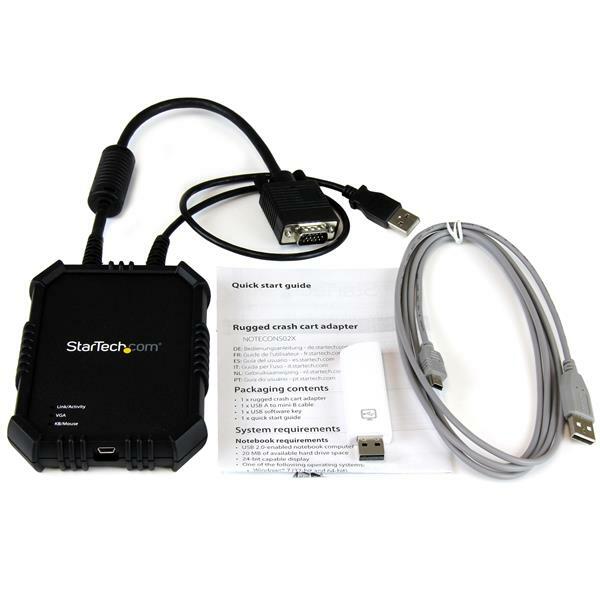 In order to view the computer connected to the laptop crash cart adapter, you must install the software package either from the USB stick or StarTech.com website. The software must be installed prior to using the device on your computer. A host computer with a female VGA and USB ports. This is the computer that will be controlled. A client computer running Windows with an available USB port. This computer will control the host computer. 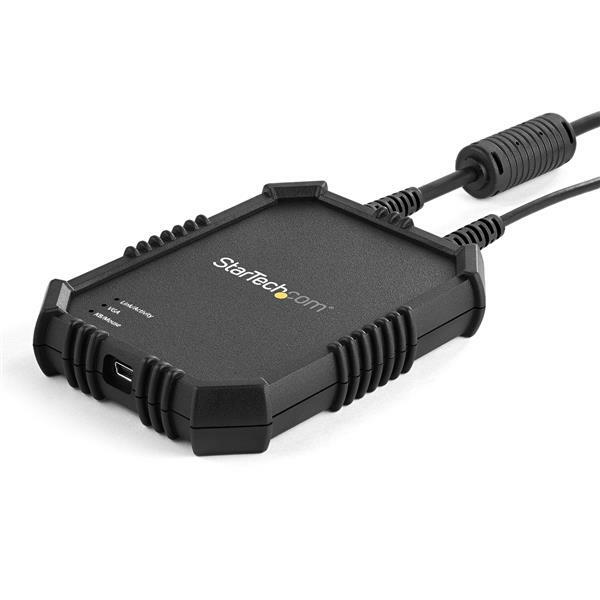 Download the latest drivers from the StarTech.com website (http://www.startech.com/Support). You can find the part number and product ID on the product packaging. In the list of extracted files, navigate to the Windows folder, right-click the Setup.exe file and click Run as Administrator. Follow the on-screen prompts to install the device drivers and software. Connect the USB and VGA cables from the crash cart adapter to the host computer. Connect the mini USB cable to the crash cart adapter and the client computer. 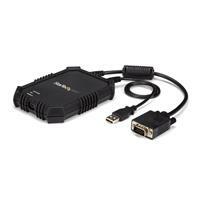 Plug in the crash cart adapter and run the USB Crash Cart software. The software automatically detects the settings of the connected computer and shows the display from the computer. When you move the mouse cursor to the display, the keyboard and mouse control is redirected from the client to the host computer. Note: Mac OS X will typically save the files to the Downloads folder that is associated with your user account (for example,hard_drive_name\Users\your_name\Downloads). Double-click the Software Pack.zip file. Double-click USB Crash Cart Adapter. The program is now located on the desktop and is ready to run. Use the video cables, video source, computer, and USB crash cart adapter in another setup to see if the problem is with the components or the setup. Use a different video cable, video source, computer, and USB crash cart adapter in your setup to see if the problem persists. Ideally, you should test a component that you know works in another setup. 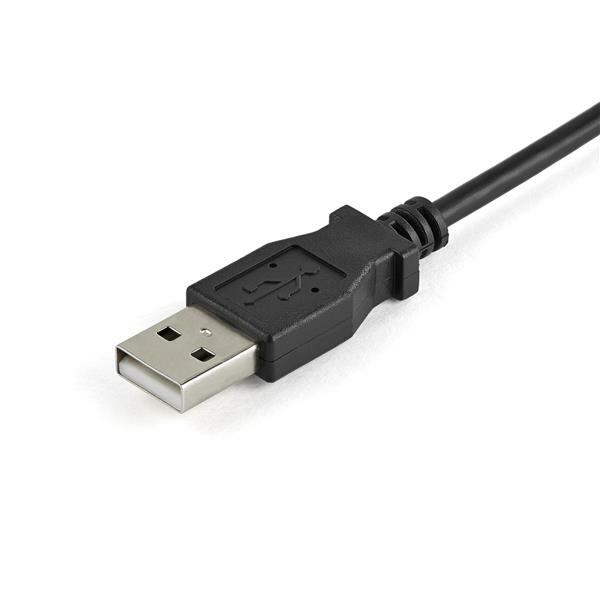 If you do not see the USB crash cart adapter listed, refer to the following FAQ: https://www.startech.com/support/faqs/technical-support?topic=expansion-cards#usb-cannot-detect-windows. In order for the adapter to work correctly, the software must be installed on your operating system. After the software is installed on your operating system, run the software. The software automatically detects the video source when it is present on the video port. What do I do if the keyboard or mouse control is not working? Make sure that the USB cable on the laptop crash cart adapter is firmly connected to the host computer. 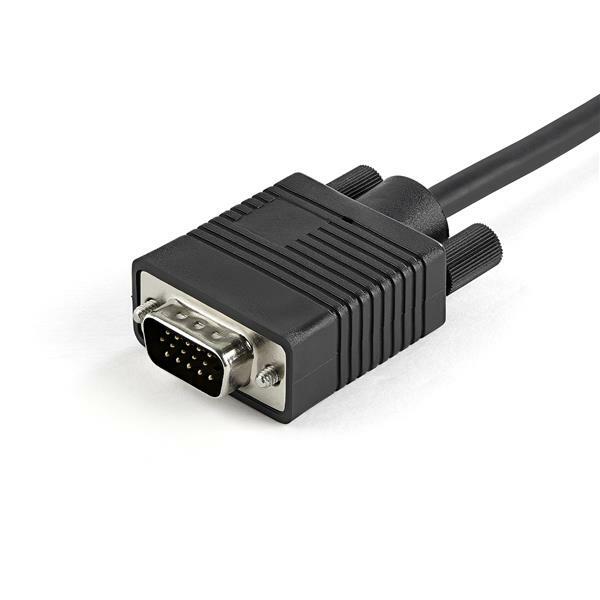 If you're using multiple monitors with the host computer, make sure that the VGA cable connected to the laptop crash cart adapter is connected to the primary monitor. Under Keyboard, change the Active emulation type to PS/2.